Project Canoe is Hiring a Program Director! Type: Seasonal Contract (Feb-Sep). 15 hours/week Feb-early May, full-time early May-early September. Pay: ~$600/week when full-time, ~$225/week when part-time. PD will also receive room & board from late May-end of Aug.
We are looking for a competent, independent and highly motivated leader, who has the skills and experience to work with our youth population and supervise the summer staff team. Our Program Director will have comprehensive knowledge of our youth population, excellent judgment, and group and staff management skills. In Feb-April, the contract is part-time. Hours will be flexible around other schedules, and some work will be possible to do remotely. The focus in these months will be on organizing urban programs for youth, and coordinating volunteers to help run these programs. The Director will also be preparing for the coming summer canoe trip programs. In May, the contact becomes full-time as we gear up for the summer program. Room and Board become available in late May when staff training begins, and the work will be at its busiest between late May and late June as the PD runs training while managing the youth outreach coordinator to prepare youth for trip. Please note that around five working days prior to contract start will also be needed to assist in hiring process for Canoe Trippers. Works closely with the Executive Director to ensure the complete implementation of the summer program. Management, supervision and evaluation of the summer staff. Oversee youth recruitment, conduct intake interviews and make presentations. The PD may have the opportunity to lead one or more youth canoe trips during the contract, if time and resources permit. Relevant background in child/youth services (MSWs, BSWs, Child and Youth Workers or others with relevant education and experience are encouraged to apply), with preference given to candidates with specific experience working with our target population (youth “at-risk”), lived experience, and experience with and love of the outdoors. A detailed Job Description is available here. Project Canoe is an equal opportunity employer, and we are committed to building a diverse and inclusive team. People from marginalized, underrepresented and diverse communities, including women, Indigenous peoples, people of colour, people with disabilities, people identifying as LGBTTIQQ2S+, and people facing economic barriers, are especially encouraged to apply. Please indicate in your application if you would like to be considered for employment equity. 2016 Summer Wilderness Canoe Trip Dates and Applications Available! This summer, we are offering two trip options, 5-day trips and 8-day trips. Want more information? Check out our programs page and FAQ. Please stay tuned to your emails, as well as to our website and Facebook page, for further details! If you have any questions, please contact our Summer Program Director, Lizzy Deshman, at lizzy@canoe.org. We are hiring a Youth Outreach Coordinator! Project Canoe is seeking a Youth Outreach Coordinator. This position will be responsible for all aspects of the screening process for youth interested in attending our summer wilderness program. In addition, the outreach coordinator is responsible for delivering presentations in the GTA and surrounding communities, meeting with community agencies, and providing resources and support to youth who will be attending our summer wilderness program. Read our official Job Posting here, and our Job Description here. Between 19 and 30 years of age at the start of the employment. Must have been registered as full-time students in the previous academic year and intend to return to school on a full-time basis in the next academic year. To apply, email info@canoe.org with a resume and cover letter. Project Canoe is hiring Canoe Trippers! We are looking for competent, patient and highly motivated leaders, who have the skills and experience to work with our youth population. Our Canoe Trip Leaders have excellent judgment, and are compassionate and committed to helping support our youth, each other and the organization. Canoe trippers will live in Toronto during training and when they are not on trip. Note that we are also currently hiring a Summer Program Director. Click here to read more. Project Canoe is Hiring a Summer Program Director! We are looking for a competent, independent and highly motivated leader, who has the skills and experience to work with our youth population and supervise the summer staff team. Our Summer Program Director will have comprehensive knowledge of our youth population, excellent judgment, and group and staff management skills. Full-time April 6th - September 9th, with ten days before contract begins to assist in hiring process for Canoe Trippers and other summer preparation. The SPD may have the opportunity to lead a youth canoe trip during the contract, if time and resources permit. Relevant background (3 or more years of direct experience) in child/youth services (MSWs, BSWs, Child and Youth Workers or others with relevant education and experience are encouraged to apply), with preference given to candidates with specific experience working with our target population (youth “at-risk”) and experience with and love of the outdoors. G Class license. F-Class license or willingness to obtain F Class license an asset. A detailed Job Description is available here. This job posting is available in PDF form here. Project Canoe would like to thank all applicants for their interest. However, only those selected for an interview will be contacted. Project Canoe is committed to employment equity, and welcomes all qualified applicants. The Reel Paddling Film Festival kicks off its 2016 world tour with the Premiere on February 25th, 2016. The Complete Paddler is proud to host Rapid Media’s 11th annual Reel Paddling Film Festival that showcases some of the best paddling films in the world. This international competition begins in Toronto, ON, hosted by The Complete Paddler, before beginning its year-long tour across the globe and screening to over 30,000 outdoor enthusiasts and their families. The festival recognizes the best paddling films in a series of categories like best white water kayaking film, best canoeing film, best fishing film etc. It aims to inspire more people to explore rivers, lakes and oceans, push physical and emotional extremes, embrace the lifestyle and appreciate the heritage of the wild places we paddle. On Thursday, February, 25th, 2016 The Complete Paddler will be hosting the Premiere of the Reel Paddling Film Festival at The Royal Theatre, 608 College Street. Toronto, Ontario M6G 1B4. Doors will open at 6:30 PM for a 7:00 PM start. One hundred percent of the night’s proceeds will be going directly to Project Canoe, a Toronto-based youth charity program which aims to foster a transformative environment for young people using the outdoors as a primary medium. Project Canoe will be present at the event to promote and educate patrons on the long-running program. The Complete Paddler and others will be donating a number of door prizes to be won as well as “Hot Ticket” prizes. Everyone who attends will be entered into the draw for the Door Prizes and Hot Tickets will be sold separately for $2.00/ea or $5.00 for 3. Tickets: $13/Advance or $16/door plus tax. Advance tickets can be purchased at The Complete Paddler in person, over the phone 416 255 6905 or online. Your tickets will be waiting for you at the door if you purchase over the phone or online. Time: Feb 25th Doors open at 6:30pm and the show starts at 7pm. It will run until 10pm. The annual YIMBY Festival provides a social space for people and groups involved in grassroots, locally-driven community development to gather, exchange ideas and strategies to affect change, and imagine their future city. This free, one-day event invites community groups and not profits from across Toronto to educate residents, politicians, policy makers, and each other through informal table discussions and presentations. YIMBY provides an opportunity for neighbours to meet neighbours, residents to meet politicians, and politicians to meet community groups in the spirit of people coming together for positive change. This year's YIMBY festival will welcome 100+ Toronto based groups involved in community development, civic literacy, neighborhood improvement, environmental action, arts and culture, and economic development. YIMBY is about enhancing civic literacy and engagement and moving the city forward. It’s a space for community members and community organizations to connect and they want you there. Throughout the day, attendees can connect with organizations at informational displays and take in free, interactive workshops and activities for community, by community groups. YIMBY is free and open to all, and the venue is fully accessible. Visit yimbytoronto.org for more information about YIMBY Tablers, and Programming. Pub Night - Next Wednesday! Keep summer alive a little longer with Project Canoe's 9th Annual Pub Night next week! Come for a night of prizes, live music and fun! Whether you're looking to embrace the Fall and take your camping gear to the next level, or you want to make the most out of city life, you'll find something you'll love in our prizes! MEC, The Raptors, The Complete Paddler, Joe Rockheads, a number of Toronto's Restaurants, and over 25 organizations have come together to provide items for our silent auction and raffle this year. You'll also get to meet and hear from Mark Oldershaw, Olympic Sprint Canoeist, Pan Am games Flagbearer and Silver Medalist, and Project Canoe board member. 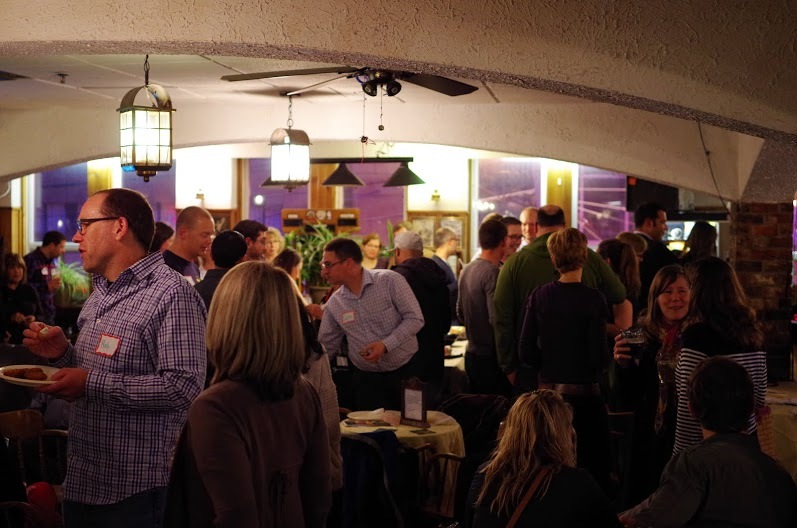 Buy tickets now for our 9th Annual Pub Night! Buy now for $5 off the door price. It's sure to be a fun night, and we can't wait to see you there! Come to our 9th Annual Pub night fundraiser at the Imperial Pub on September 16th! 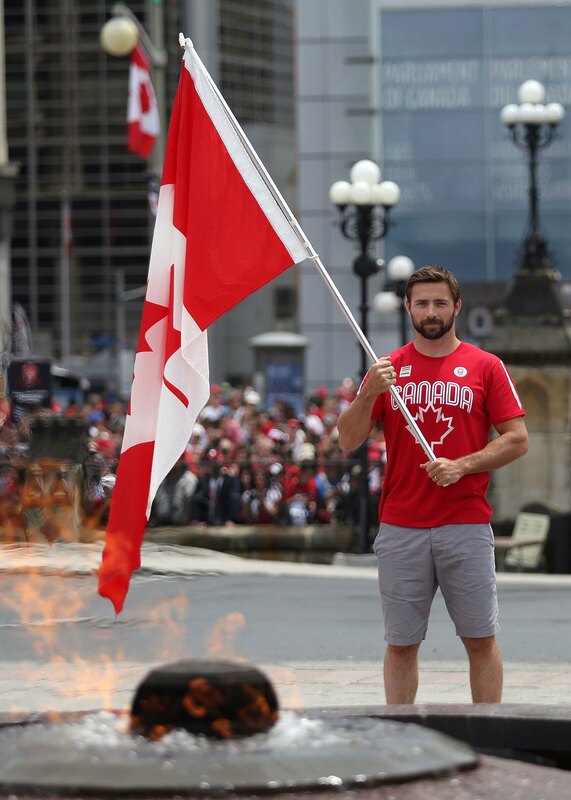 Partake in our silent auction, meet the PC community, and hear Mark Oldershaw speak: fresh from flag-bearing and victory at the Pan Am Games, Mark is an olympic sprint canoeist who has been on PC's board since last year. It's sure to be an awesome night! Early bird tickets are $20 and, of course, all ticket sales and auction bids help provide youth with life-changing wilderness experiences. Click here to get tickets, or here to RSVP on our Facebook event. We'd like to take the opportunity to invite you all to our Community Event and AGM, coming up on August 5th! Meet us at 6:30pm at Woodbine Subway Station for a hike down Massey Creek to our venue at the beautiful Children's Peace Theatre. At 7:30pm we will arrive at the Children's Peace Theatre for an evening of fun, storytelling and discussion around Project Canoe's recent past and plans for the future. Click here to register and find out more details. We can't wait to see you there! The MEC Paddlefest Barrie is tomorrow! Project Canoe will have a space at the MEC Paddlefest in Barrie tomorrow! Be sure to drop by the Project Canoe space and find out what we've been up to! MEC invites you to dive into the world of kayaking, canoeing, and stand up paddleboarding. You can go for a test paddle, learn skills at a clinic, browse exhibitor’s booths, and hunt for deals at the Paddle Swap. Read about Project Canoe in today's Toronto Star! Once again this year we are a part of Toronto Star's Fresh Air Fund, a children’s charity that provides grants to camp organizations to subsidize fees for underprivileged and special needs children from the Toronto area each summer. If you feel moved to support Project Canoe and the Fresh Air Fund be sure to donate today! Project Canoe will have a space at the MEC Paddlefest this June! MEC invites you to dive into the world of kayaking, canoeing, and stand up paddleboarding. You can go for a test paddle, learn skills at a clinic, browse exhibitor’s booths, and hunt for deals at the Paddle Swap. Be sure to drop by the Project Canoe space and find out what we've been up to! Click here to find out more! Do you want to have the best and most rewarding summer of your life? Project Canoe is now accepting applications for 2015 Summer Canoe Tripper positions. We are looking for people who embody the spirit of Project Canoe as well as want to make a different in the lives of youth to help them on a path of success. If you think you have what it takes please click on the link to our employment page and send in your resume. Tickets are $12.00 in Advance and will go up to $15.00 plus tax if purchased at the door. Click here for the link to purchase tickets. To add even more excitement to the event, there will be a number of door prizes donated by The Complete Paddler and others to be won as well as several "Hot Ticket" prizes. Everyone who attends will be entered into the draw for the Door Prizes; Hot Tickets will be sold separately for $2.00/ea or $5.00 for 3. Rapid Media's 10th annual Reel Paddling Film Festival showcases some of the best paddling films in the world. This international competition begins in Toronto before beginning its year-long tour across the globe to over 100 cities and screening to over 30,000 outdoor enthusiasts and their families. The festival recognizes the best paddling films in 10 different categories like best white water kayaking film, best environmental film, best adventure travel film, etc. This Festival aims to inspire more people to explore rivers, lakes and oceans, push physical and emotional extremes, embrace the lifestyle and appreciate the heritage of the wild places we paddle. The Famous Players Canada Square Cinema is located just south of Eglinton at 2190-2200 Yonge Street, Toronto next to the Mandarin Restaurant. Invest in a Child's Future today! As a follower of Project Canoe you know that our program has changed the lives of many children and young adults like Wade. You know the transformative power the outdoors can have on the lives of youth. And thanks to caring people like you, Project Canoe has been improving the lives of youth facing various barriers in their lives – social, economic, and mental health – for 38 years. Our wilderness canoe tripping experiences have been proven to provide transferable new life skills, increased self-esteem, and a fresh outlook on life to thousands of youth over the years. This holiday season, we’re inviting you to give a gift that doesn’t come wrapped up in a bow. You can give a life-changing, empowering experience to a child. By providing youth with the opportunity to develop life skills, social aptitude and resiliency, you are empowering them with unshakeable confidence. Project Canoe’s unique outdoor programs and amazing mentors provide all this and more to youth in need, but we can’t do it without you. Your donation is an investment in a child’s future, maybe even a child you know. A holiday gift for Project Canoe is a lasting contribution and could be the difference in changing the life of a youth. Please take a moment now to give your support for youth with a holiday season gift! You can make a secure online donation today. Alternatively, please send a donation cheque to us via mail at the address below. Giving a donation today will allow us to serve more youth and help them achieve success in 2015! Click here to Donate online and help a child achieve success. Project Canoe officially announces partnership with Algonquin Basecamp for new base of operations It is with great excitement that Project Canoe announces a new partnership with Algonquin Basecamp. Algonquin Basecamp, located in Kearney, Ontario, will serve as Project Canoe’s new base of operations in Northern Ontario for the 2015 season and beyond. As a result of planning changes in the Ontario government, Project Canoe recently ended its 15+ year association with the Briggs base camp in Temagami, Ontario. Following an exhaustive search, Algonquin Basecamp and Project Canoe have agreed to team up to serve youth who are facing barriers and help them achieve success in their lives. This new partnership gives Project Canoe’s youth access to the awe-inspiring lake network of Algonquin Park, and is in closer proximity to where most of the youth live. Project Canoe (www.canoe.org) uses the outdoors, including wilderness canoeing; to create a transformative environment in which young people develop life skills, social competencies, and resiliency, thereby fostering their own personal success. We partner with our youth, supporting them as they carry these skills and successes forward to manage the complex challenges of their lives. Algonquin Basecamp (http://algonquinbasecamp.ca) provides complete or partial outfitting services and are known by their tagline as the “Your Adventure Starts Here Headquarters!” The camp is located directly en route to Tim Lake (access #2), Magnetawan Lake (access #3), and Rain Lake (access #4), and is only 15 minutes from Highway 60. For more information please contact info@canoe.org. Be a Proud Supporter by running with us in the 2014 Scotiabank Toronto Waterfront Marathon/Half Marathon & 5K Charity Challenge! Project Canoe uses the outdoors, including wilderness canoeing, to create a transformative environment in which young people develop life skills, social competencies, and resiliency, thereby fostering their own personal success. Please join the Project Canoe Team on October 19, 2014 to raise funds for our innovative programs. Run 5km, 21km or 42km to give youth who face a variety of barriers a chance for a successful future. Over Project Canoe’s 37 year history we have helped over 3,000 youth and directed them on a path of personal success and achievement. Please help us continue this important work. Become a member of the our team and commit to fundraising for Project Canoe and we will pay your entry fee. Register today! The sooner you register the more time you will have to set up your personal fundraising page and start training for a fun and successful race. Click here to register for the STWM! Contact info@canoe.org to receive the charity PIN code (you will require this later). Follow the above link to register for the marathon, half-marathon or 5K race (If you've already registered, create a fundraising account by follow the second link on the STWM registration page). Select “Project Canoe” as your charity from the drop-down menu in the “Scotiabank Charity Challenge” section of the registration page. Once you have received a confirmation email, follow the link to create your personal fundraising page for Project Canoe ( second link on the STWM registration page). Contact Project Canoe at info@canoe.org or 416-778-4311 if you have any questions. You can also help support our runners by making a donation - click here.